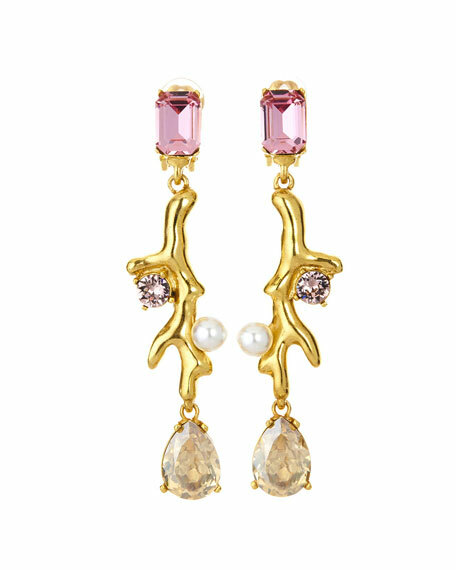 Coral crystal earrings by Oscar de la Renta. Polished yellow golden posts and hardware. Coral drop with mixed Swarovski® crystals. White simulated glass pearly accents. For in-store inquiries, use sku #2605983.